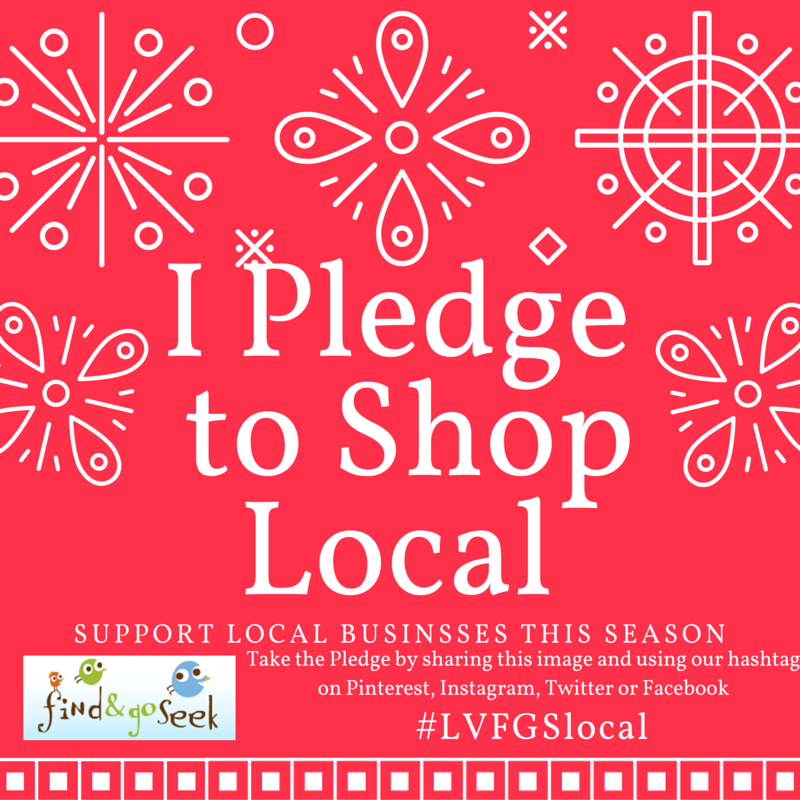 Use the #LVFGSlocal and mention @jujumonkeycom on Twitter, Instagram or Facebook and enter to WIN a Bummis Lite Diaper Cover or a Free session at Busy Bees and Messy Monkeys from Ju-Ju Monkey! 2pm EPSD Students - Elementary through High School! 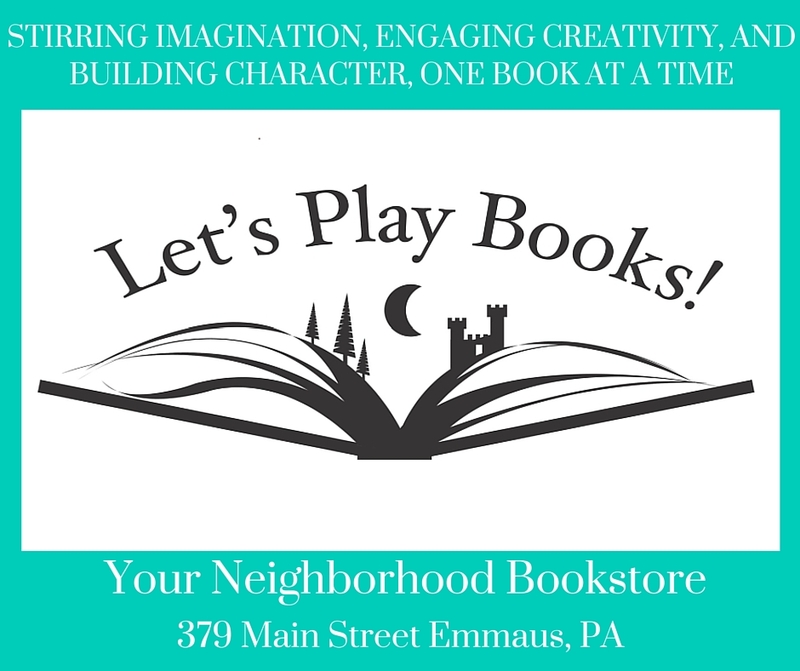 Use the #LVFGSlocal and mention @letsplaybooks on Twitter, Instagram or Facebook and receive 15% off your order! 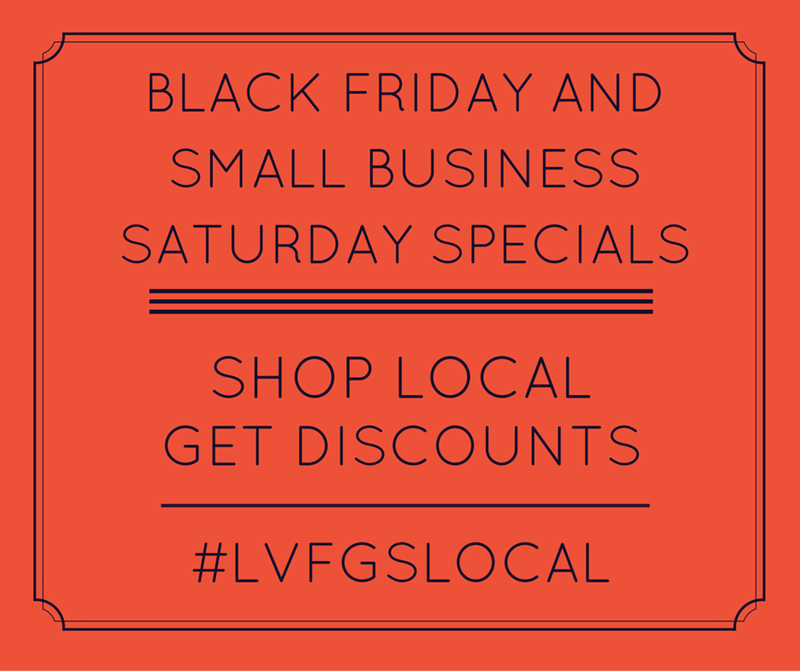 Must mention Find and Go Seek #LVFGSlocal at check out! 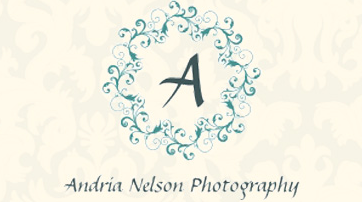 Andria Nelson Photography is offering a Buy One Get One Sale through Friday 11/27 only! 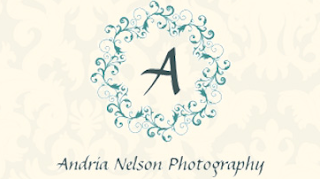 Purchase a 1 hr full session gift card for $100 and receive a FREE 30 minute mini session too! You can use both for your self or gift one to family or friend. These make great gifts! *Offer begins at the time offer is posted and ends on Friday, November 27th at midnight. Offer only valid to the first 20 people who contact me via email or Facebook. Gift cards valid until Dec 2016. Rules apply. Message me with questions regarding using gift cards towards newborn session and extended family pictures with more then 4 persons. 1 hr session is 20 images on a cd, 30 min mini session is 10 images on a cd. Package valued at $175. In honor of the ‪#‎shopsmall‬ initiative, More than Music is offering $10.00 off any two More Than Music, LLC punch cards for our "Draw Me a Song" and/or "Rhythm in Motion" classes at Ju-Ju Monkey. Perfect for holiday giving and these classes make a great outing for cooped up toddlers this winter! Keep one and gift one to a friend, or try out both classes for a discounted rate! Buy two of the same class or one of each! The choice is yours!! We are proud to unveil our 3rd annual holiday gift guide! 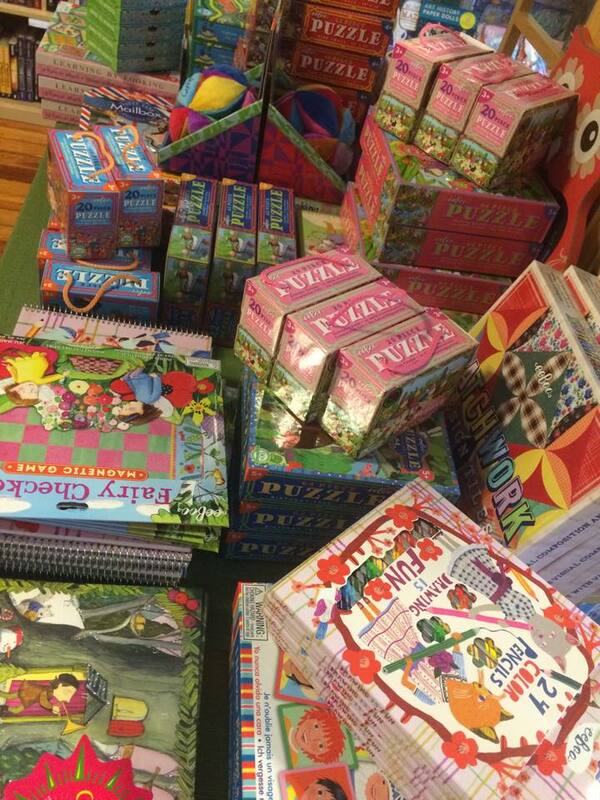 We have tons of gift ideas for the children (and grown ups) in your lives this year, all with a local spin! 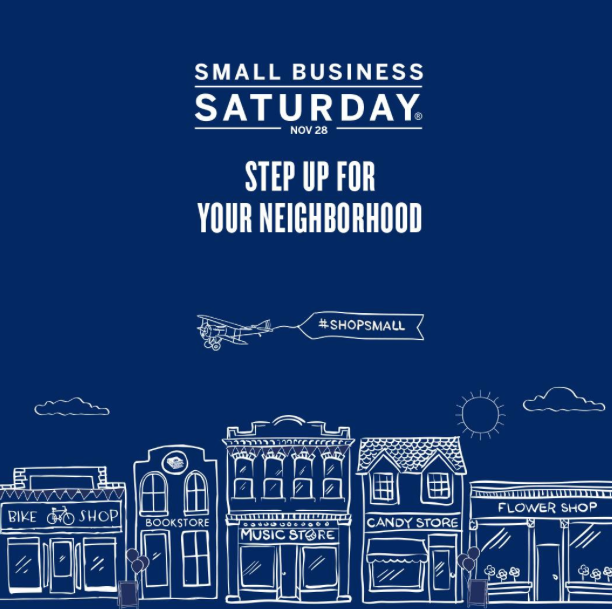 Check out some new merchants, stores and businesses that offer a gift you might not find in your standard big box stores, in addition to a few gift ideas that aren't "gifts" at all but are memorable experiences to last a lifetime! 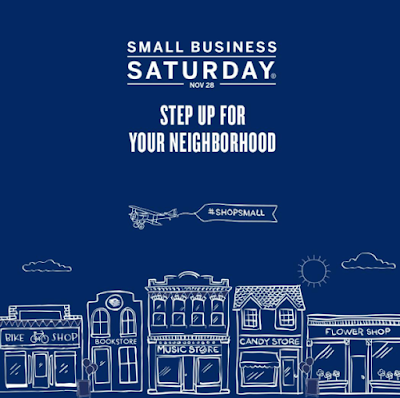 We hope you will join us through the next 12 days for fantastic ideas and help support a small business while you are doing your holiday shopping this year! 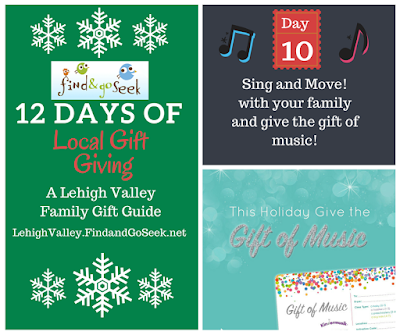 On our 12th and final Day of gifts we have OUR gift for you and its a complete guide to enjoying the Lehigh Valley with your family this holiday season. 20 different local and fun events activities, attractions and more all for you to enjoy without the work to go find it all. Check it out here in its own post! Enjoy! Yet another great experience gift today on day 11! Gift a live musical performance at Miller Symphony Hall. 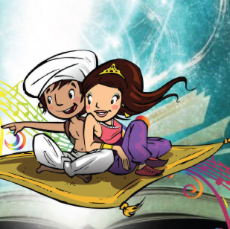 Their Family Series of Live Musical Theater performances is an excellent local family entertainment option and a super cool way to expose your children to the wonders of art and live theater! Tickets to a show make an amazing gift to any child! 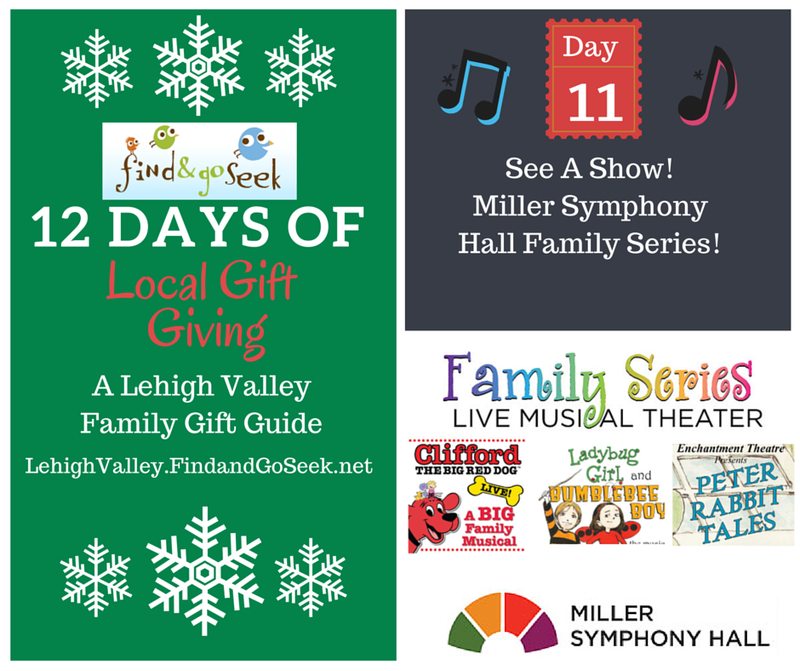 From Ladybug Girl to Clifford to the ASO Musical Fairy Tale Show there's certainly something to entertain any young one. Plan a special day out, with lunch and a show. Tickets can be booked online by clicking any link to any of the highlighted shows, just choose your seats, pay and your are all set! For this performance - Children are free! The fairy tales and stories we remember from our childhood expressed through the sounds of the orchestra. 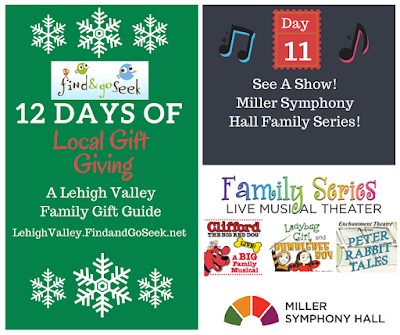 An event for the whole family, the Allentown Symphony Orchestra plays a program of orchestral classics for families and friends. Music from Aladdin, Scheherazade – 1001 Nights, Sleeping Beauty, Carnival of the Animals, Beauty and the Beast, Casey at the Bat, Hansel and Gretel. It's a great way to introduce your child to orchestral music. Go early! Pre-Concert Activities begin at 12:30pm. 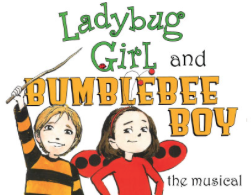 Ladybug Girl and Bumblebee Boy celebrates the power of imagination and promotes a sense of adventure and exploration of the world around you. Inspired by the New York Times Top 10 best-selling Children's Books (September 14, 2014) with 14 titles and over 3.3 million copies in print, this lively new musical “buzzes” with the inventive energy of childhood. Lulu is disappointed that she is too little to play baseball with her big brother, grabs her trusty sidekick, Bingo, the family dog, and goes off to the park, seeking adventure. She meets up with her friends, Sam, Marley and Kiki and they morph into the Bug Squad as Ladybug Girl, Bumblebee Boy, Dragonfly Girl and Butterfly Girl fight the Mean Alien...or is that Lulu's brother? Imagination will triumph! 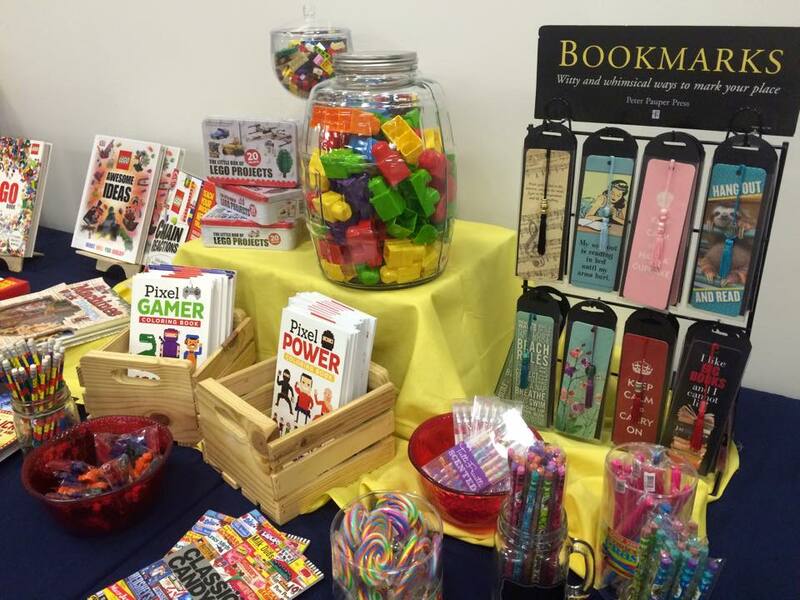 Ladybug Girl books are available in all major booksellers, mass merchandisers, educational venues including Scholastic Book Fairs and Clubs, mid-tier chains, and high-end department stores. The story and content appeals to both boys and girls. Here comes Peter Cottontail, hoppin' down the bunny trail, Hippity-Hoppity Easter's on its way! This musical is just in time for the Easter holiday! "Once upon a time there were four little Rabbits, and their names were - Flopsy, Mopsy, Cotton-tail and Peter . . . " These famous opening lines of "The Tale of Peter Rabbit" have enchanted young audiences for over one hundred years. 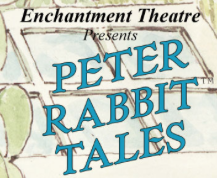 In celebration of Beatrix Potter's 150 birthday anniversary, Enchantment Theatre brings her captivating stories to life. Using fantastic masks, whimsical puppets, gorgeous scenery and original music, the magical, marvelous World of Beatrix Potter come alive on stage! Meet Peter Rabbit and Benjamin Bunny as they escape from Mr. McGregor, outfox Mr. Tod and rescue the Flopsy Bunnies from the disagreeable badger, Tommy Brock. When Benjamin's children disappear, he goes to his cousin, Peter Rabbit, to help him find the bunnies. But Peter thinks he's had quite enough of adventure, remembering his youthful escapades in Mr. McGregor's garden. As the cousing reminisce about their past adventures, their friends - Squirrel Nutkin, Mrs. Tiggy-Winkle, Jemima Puddle-Duck and Mrs. Tittlemouse - gather to encourage Peter on this one last quest. It only takes a little to BE BIG!™ The ‘big red dog,’ a character beloved for generations, comes to life on stage in a BIG way in this interactive musical! Join Clifford, Emily Elizabeth and all their friends from Birdwell Island as they embark on an adventure filled with singing, dancing and more. 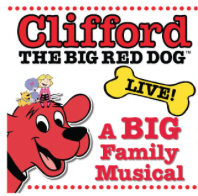 Share in the timeless values of Clifford’s BIG Ideas: Share, Play Fair, Have Respect, Work Together, Be Responsible, Be Truthful, Be Kind, Believe In Yourself, Be A Good Friend and Help Others – with this musical experience the whole family will love! Its day 10 and we are really excited about Sing N Move! They offer Kindermusik classes for children and families in their Center Valley/Bethlehem location and in Allentown at Ju-Ju Monkey. 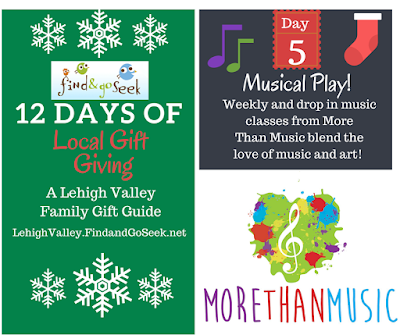 These classes make an excellent experience gift for a family or young one who might not be big enough to understand or appreciate a standard gift! These classes build the appreciation of music and create wonderful opportunities to spend quality time with you're kiddos. 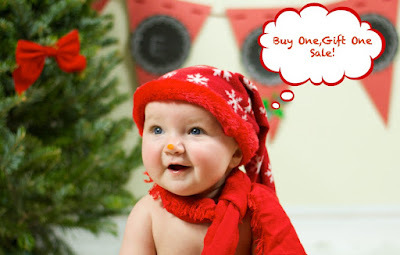 As parents, we often look for that perfect gift for our little ones. However, one of the best gifts we can give our children is time spent together! 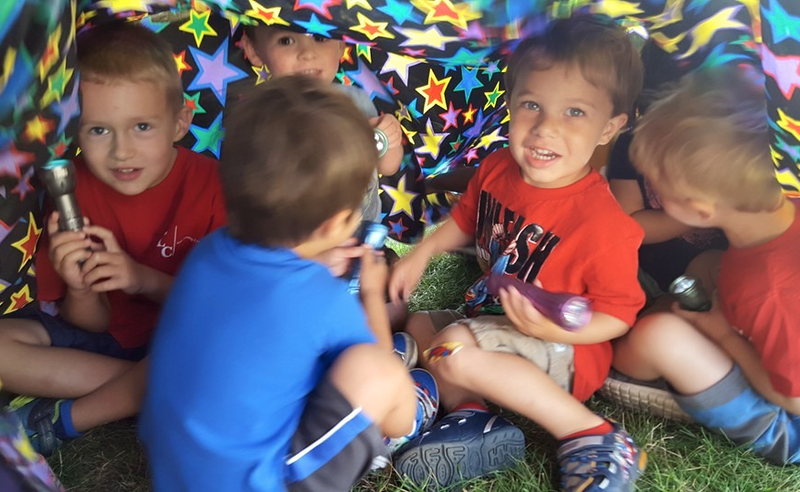 Kindermusik classes support a young child’s development in so many areas, including social and emotional, cognitive, physical, language and literacy. However, families also create lasting memories through singing, dancing, and simply taking time away from everything else on their To Do lists. Many of these songs will remain imbedded in the hearts and minds of children and parents for the rest of their lives. On day 8 we welcome one of our more adult oriented gifts! What could be a better gift that a break from the crazy!?! 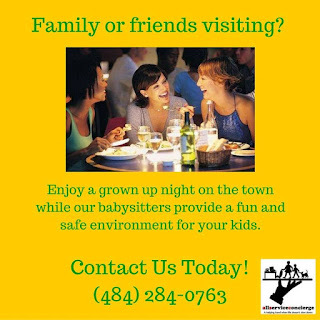 (hint, hint) What if your spouse arranged to have a surprise professional babysitter show up at your door one night this season for a relaxing break from the hustle and bustle?!! 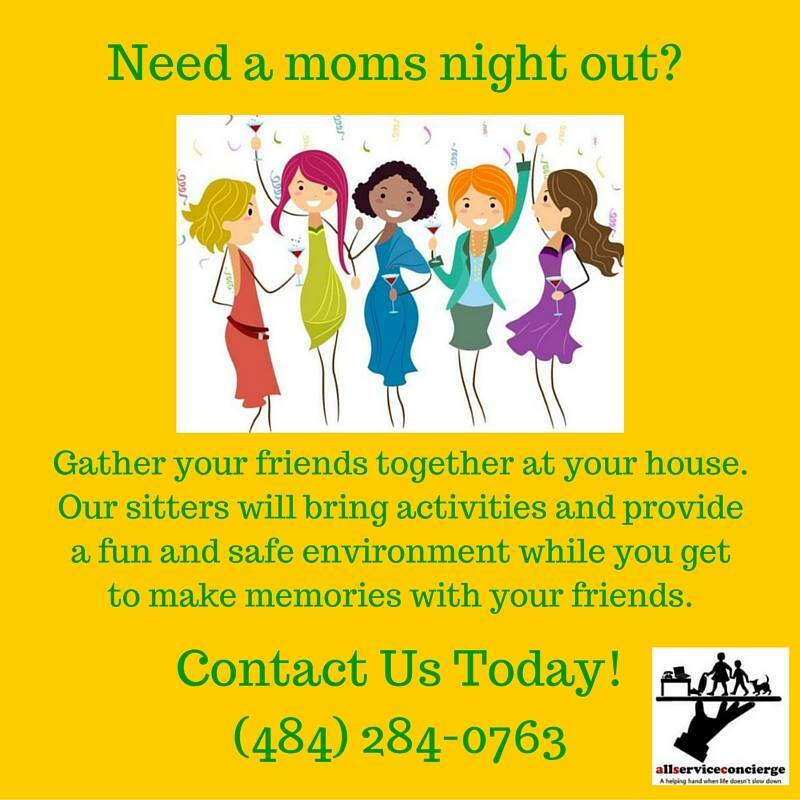 How about a mom's night out! Cookie exchange (yum!)? Spa Visit? This is a great gift idea amongst friends, make plans, book a sitter and treat yourselves to each other's company! We often struggle with finding care when we have family or friends are in town because its often that exact time frame that everyone else happens to be busy! 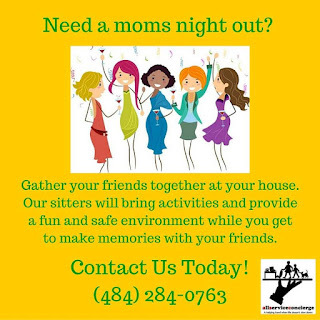 Find someone you can trust with your kids and your friends'! 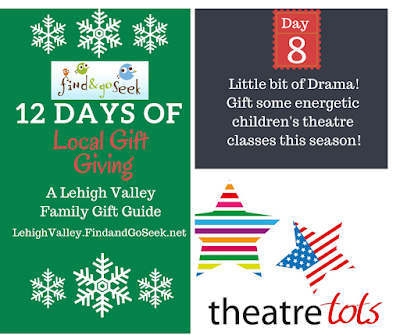 On Day 8 of our gift guide we feature another excellent experience gift idea from Theatre Tots USA - Lehigh Valley! These engaging and energetic classes are the perfect gift for that child who is always, dancing, acting and putting on "shows!" 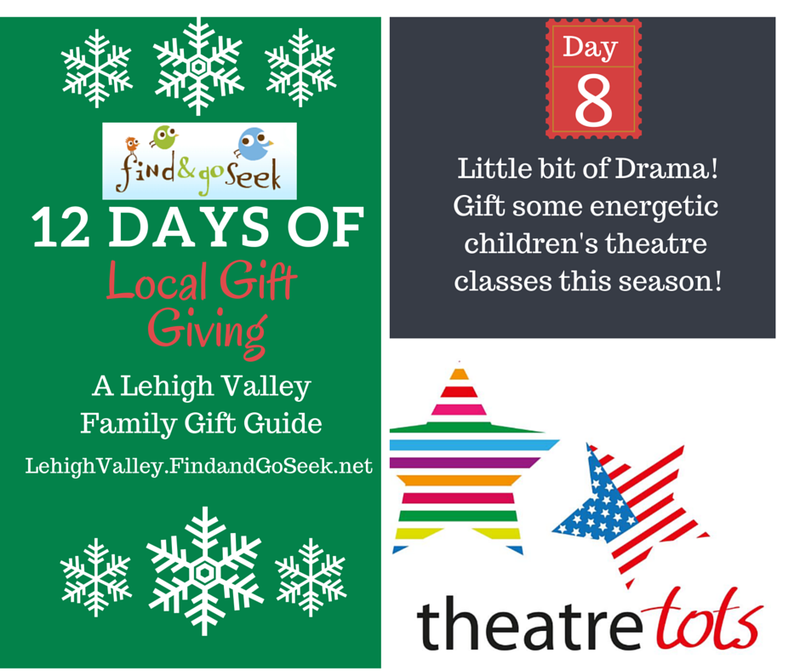 Theatre Tots gift certificates are available and can be used towards any of our classes throughout the Lehigh Valley. Foster their love for the stage and "gift" them some drama this year! 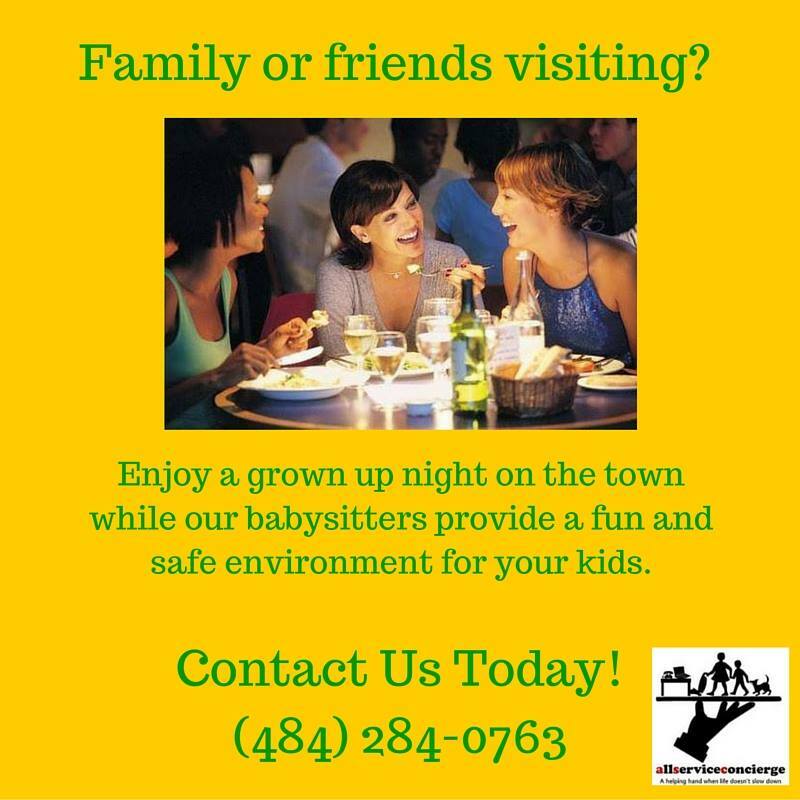 and receive a Theatre Tots music cd or a coupon $5 off your next booking for anyone who mentions Theatre Tots. Today we are getting creative with Paintsome Pottery! 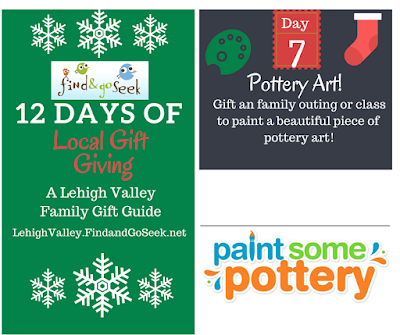 This locally owned pottery painting studio is the perfect place to create a gift for someone special! With their selection of adorable trees, figures, plates and ornaments are sure to find something perfect to paint for anyone on your gift list! Paint a cookie jar for grandma! An adorable serving plate or platter, or a keepsake moose for mommy! Surprise your spouse with a one of a kind gift from the kids, sneak them over for a painting session and let the kids create a gift! 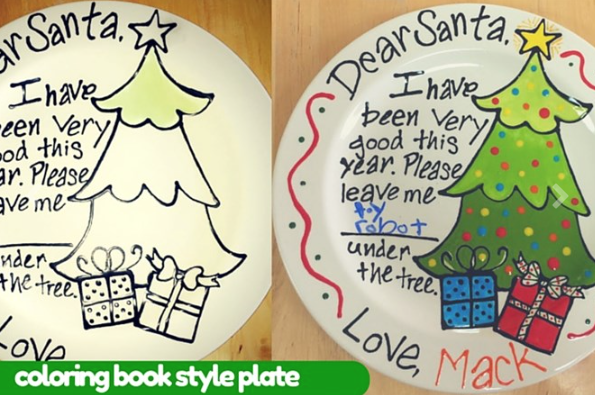 just call and order a plate and you can stop in anytime to paint! 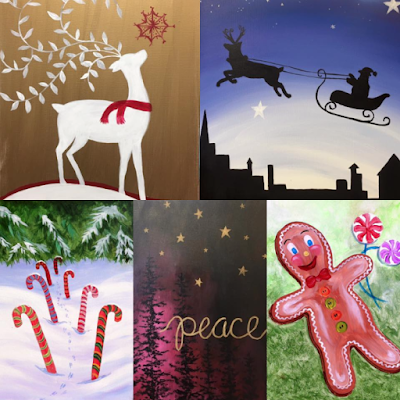 Plus you can drop in anytime through December during their normal business hours to paint, no reservations needed! 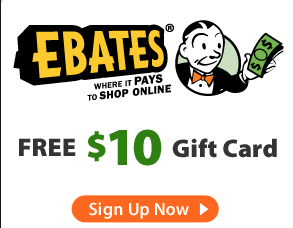 Gift Certificates also are a great "experience" gift! 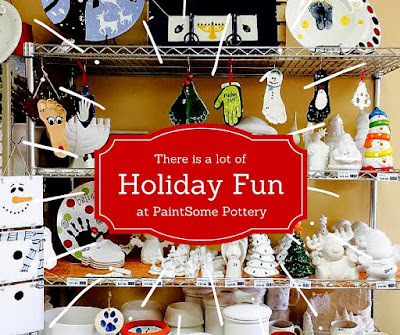 Call the store to inquire about classes coming after the holidays or gift a day out and stop into Paintsome Pottery for some fun! 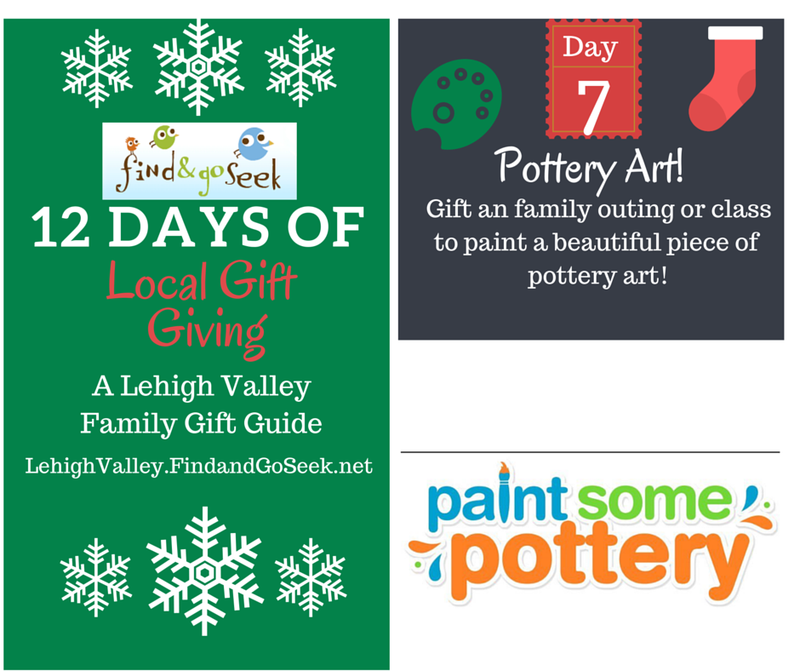 Its day 6 of our Local gift guide! 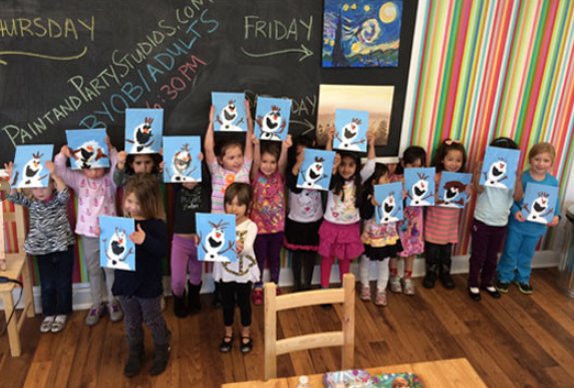 Today we feature Paint and Party Studios, their West Allentown Canvas painting studio offers parents and kids the unique experience of painting with the guidance of an artist who can help turn any untrained painter into a true artist! Gifting an afternoon out with the kids or grandkids of painting would be an amazing "experience" gift! There open studios on the weekends are perfect for this. 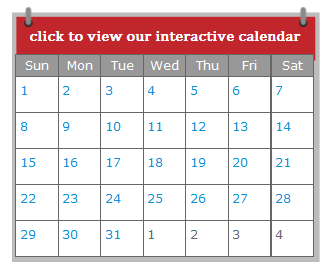 Or take a look at the calendar and book an upcoming class. Here is a sample of their upcoming classes for December! *note some classes may be best for adults, please call to inquire about appropriate ages. Gift certificates are available! 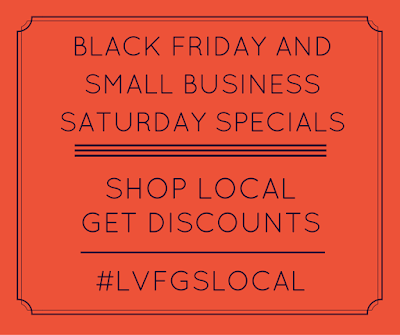 Call or e-mail them to order a gift certificate! It's Day 5! 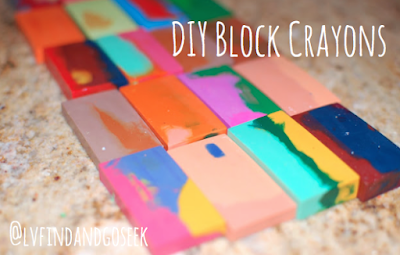 If you have plans to stay home and avoid the crowds this gift idea is perfect for you! You can purchase this item without even leaving the couch! 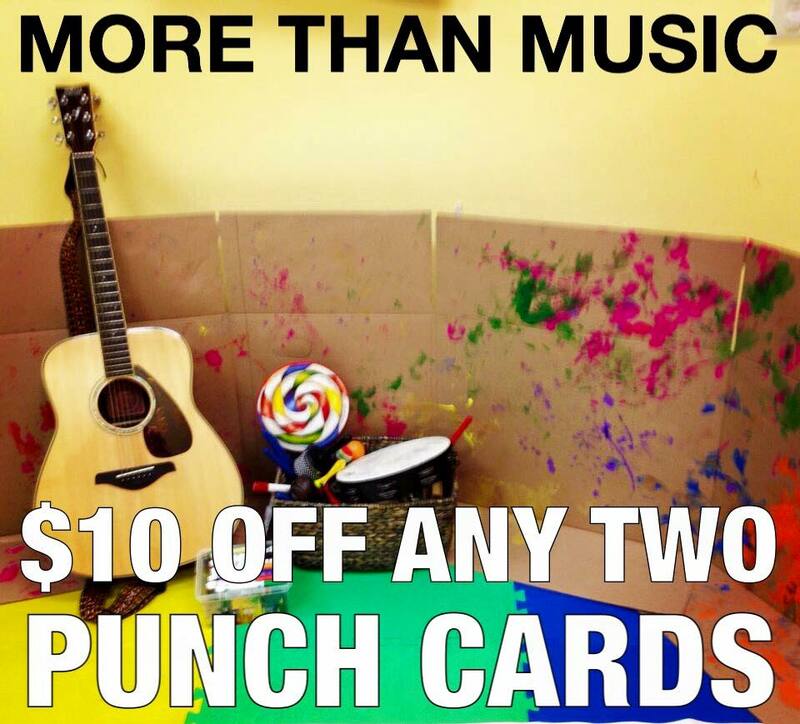 More Than Music is offering buy 2 get $10 off punch cards for their amazingly energetic and creative toddler/preschool music and art classes Draw Me a Song" and/or "Rhythm in Motion" classes at Ju-Ju Monkey! 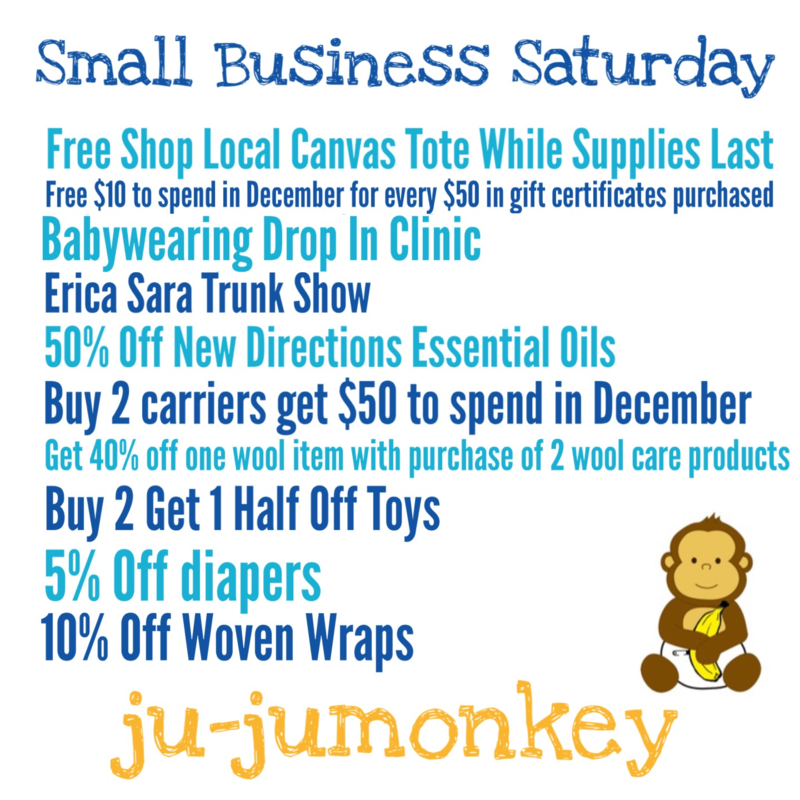 Class information is available at http://ju-jumonkey.com/class-registration/ Just call Ju-Ju Monkey to purchase your passes at (484) 809-9662! 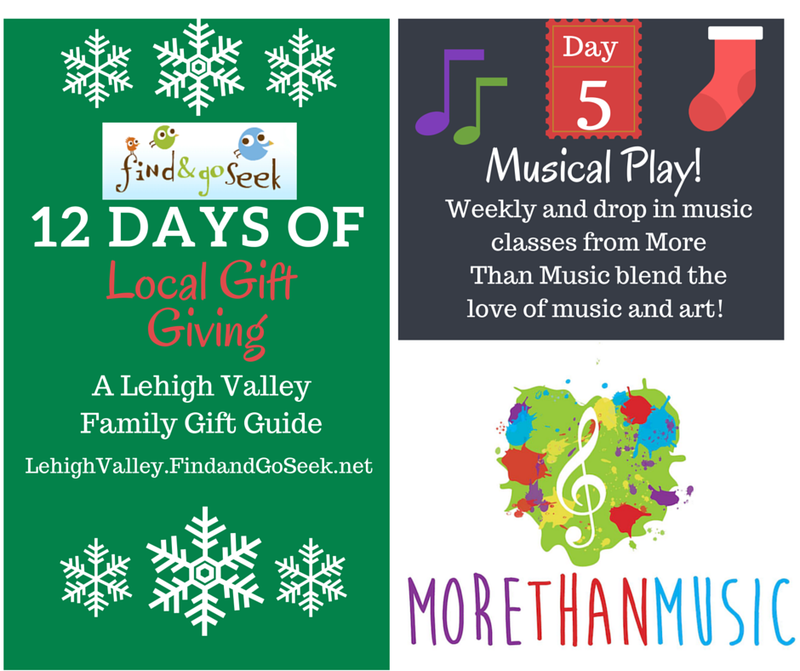 More Than Music offers one of the most highly reviewed children's music programs in the Lehigh Valley. 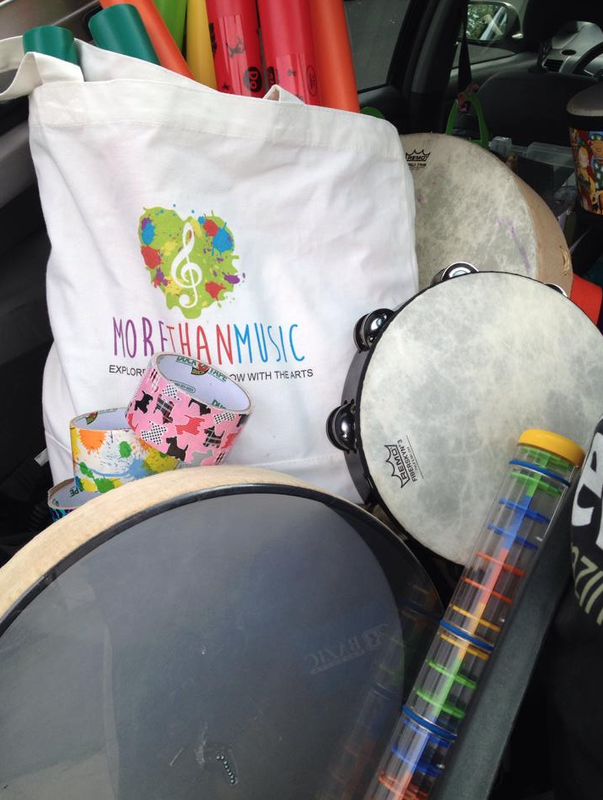 They offer weekly "You&Me Music classes" which also make an excellent gift for any young child (especially those who are too young to appreciate a material gift!) 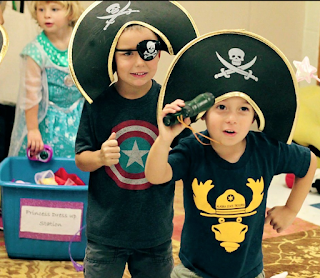 Giving the gift of a memorable childhood experience is so precious! 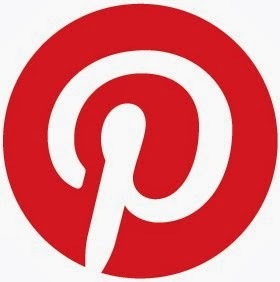 Check out some reviews for their programs here. 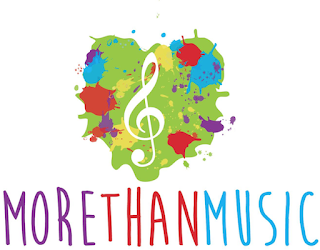 In addition to "You and Me Music Classes" for children More Than Music offers music therapy, lessons on various instruments and preschool/day care enrichment programs! What a cool idea for your child's school! Gift your child and their classmates a session of engaging, energetic weekly music classes at their school or day care! 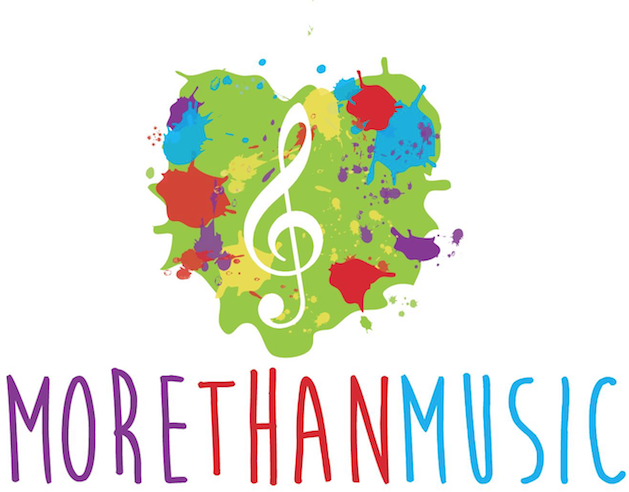 You can purchase gift certificates by e-mailing MoreThanMusicLLC@yahoo.com or messaging them on their Facebook page. 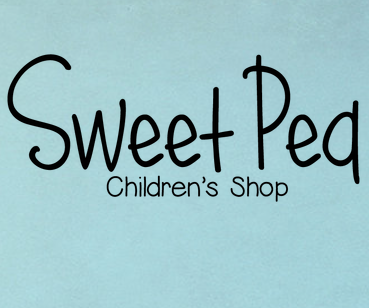 Day 4 brings us great gift ideas from Sweet Pea Children, the Lehigh Valley's newest children's retailer! 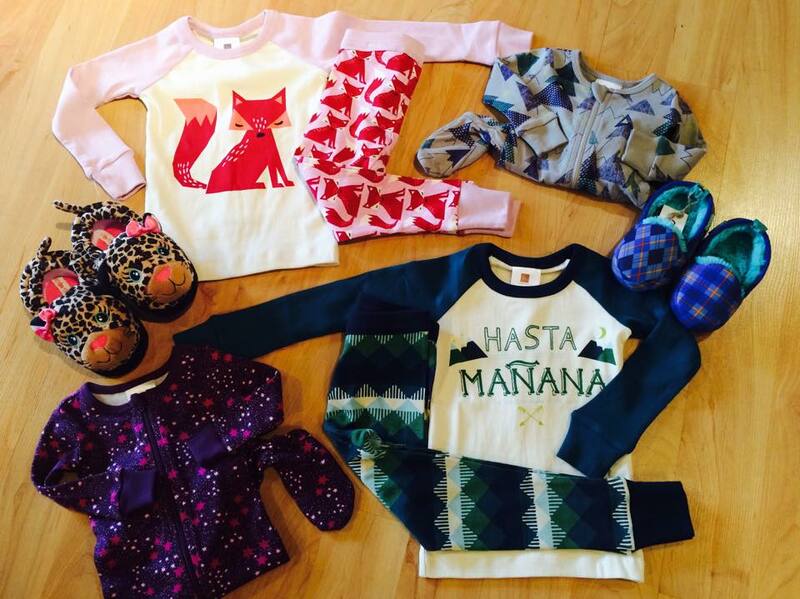 Their exclusive lines of clothing will make the perfect gift for your kids or the kids your love! These adorable bathrobes are now in stock! Their new Tea Collection PJ's would make a great holiday gift! 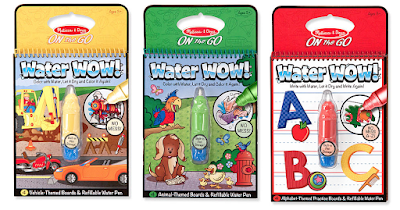 Sweet Pea also carries a range of Melissa and Doug Toys including their Water Wow line! This are a must have for any road trip, restaurant visit or even during a holiday service. 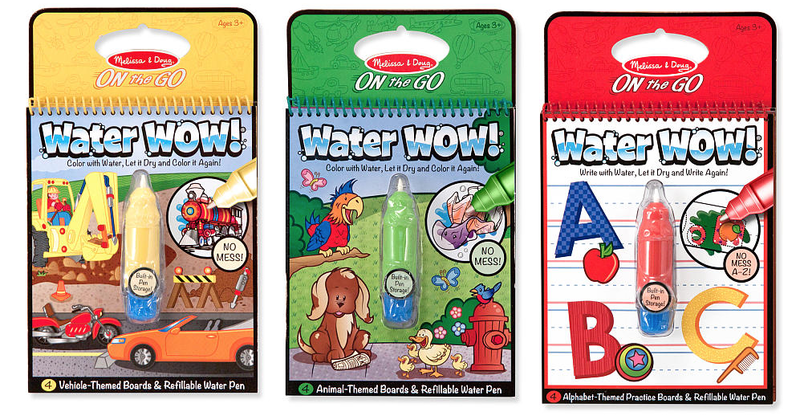 Vibrant colors pop off the pages with just the magic of water! These are an excellent stocking stuffer! Don't miss these amazing 12 days of Deals! Sales include brands like eeBoo, Melissa and Doug and Moovers! 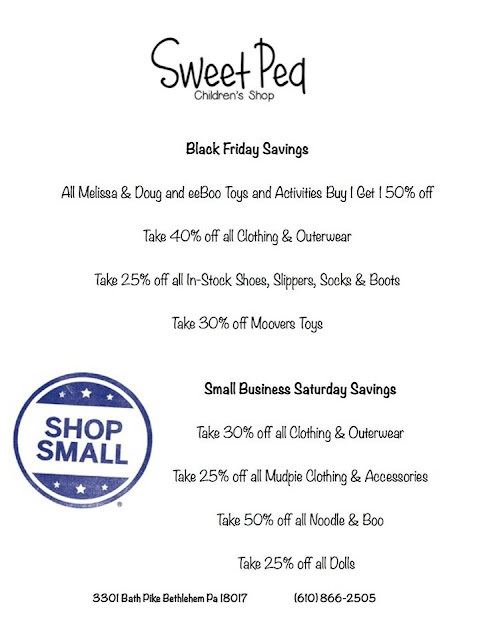 PLUS savings on clothing and outerwear! 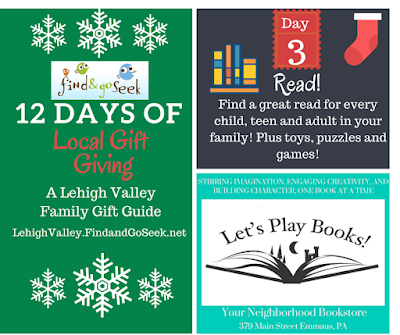 Let's Play Books brings us to Day 3 of our gift guide! 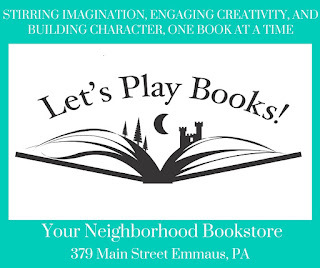 This cozy Emmaus store offers everything from children's books to tween reads and adult titles! Check out some of their awesome offerings including Eeboo toys, games and puzzles by stopping in this season to shop or for one of their special events coming up! 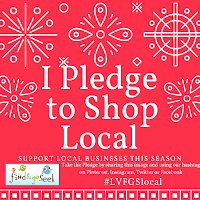 Use our Shop Small Hashtag #LVFGSLocal and mention Lets Play Books to Save 15% Must mention offer in person and be prepared to show your Tweet or Instagram or Facebook share on your Smartphone! Unique gifts for your avid reader await! 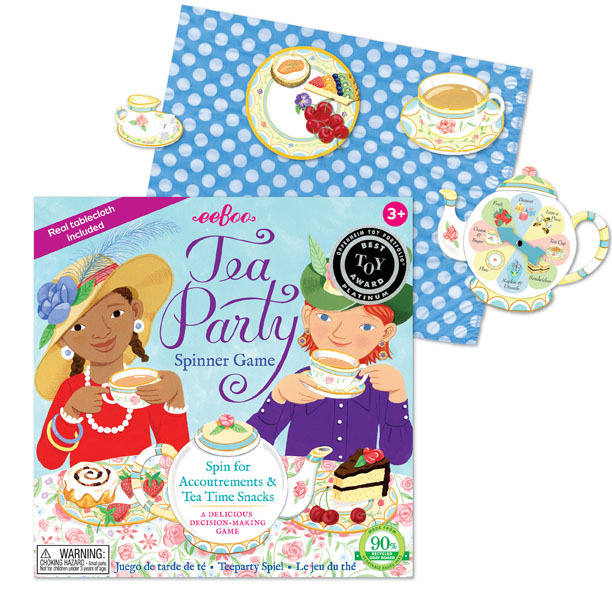 Special Gift Sets with accompanying characters! The Classic Strega Nona and My Neighbor Totoro - based on the highly acclaimed Japanese Movie of the same name. 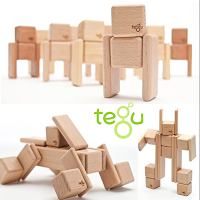 Eeboo Toys facilitate creativity and are made using recycled materials! 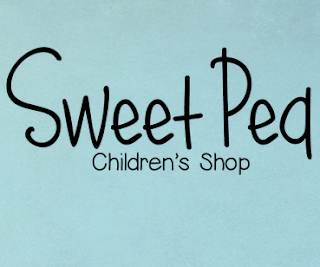 They make great items for children ages 3+ ! 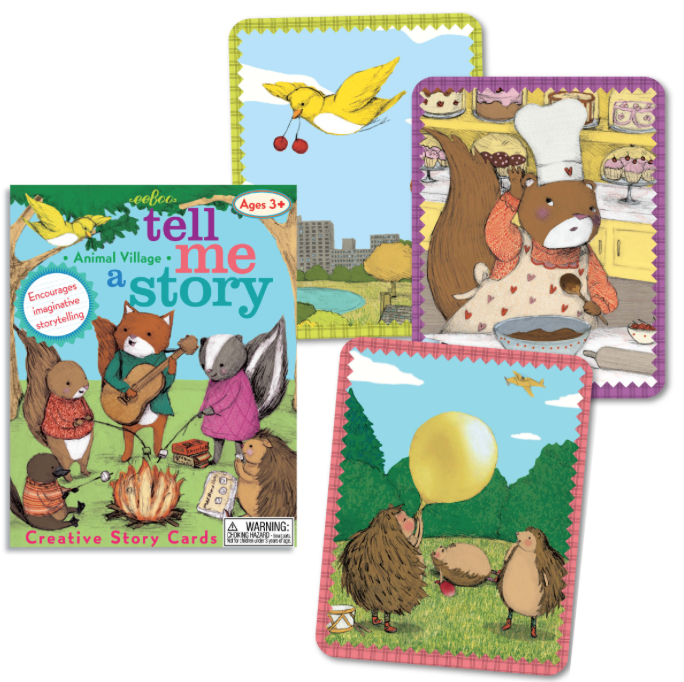 We absolutely love their "Tell Me A Story" cards which make storytelling at bedtime an adventure! 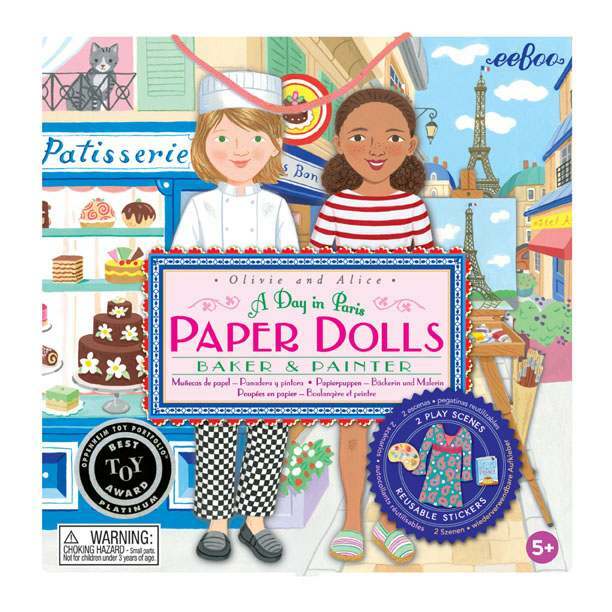 Toys and books are available for babies and toddlers too! Eeboo toys as well as Indestructables - the rip proof, bendable, chewable baby books seriously rock our world and you can find them at Let's Play Books ! 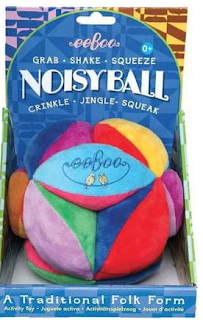 This adorable NoisyBall may be making its way under our tree this year too! Our very favorite story time of the year! 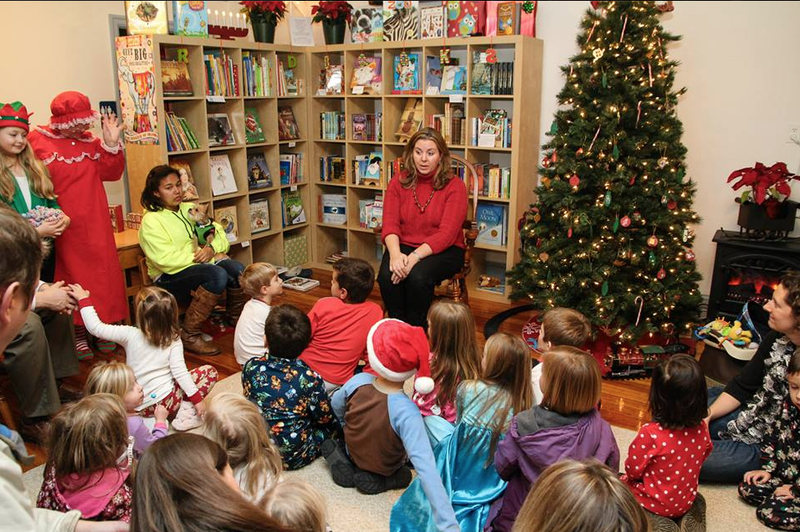 This is a great excuse to pick up a special keepsake holiday story to read each season for years to come! See their upcoming December events here! 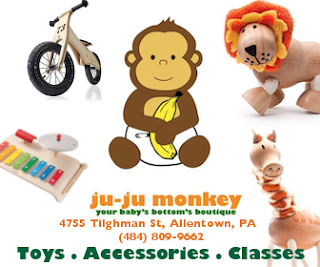 Day 2 of our Gift Guide unveils a TON of amazing shopping deals that will be available this weekend at Ju-Ju Monkey in Allentown for those with little ones, grandparents, expectant parents and anyone who loves a little! If you haven't gotten a chance to stop in yet, you NEED to! They have gifts that will wow an kiddo including brands like the exclusive and uber chic Tegu, a sustainable harvested wood block made in Honduras. 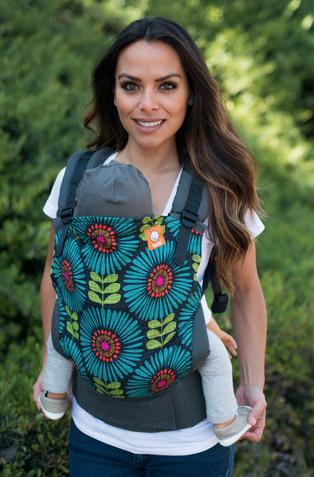 Baby Carriers from Tula, Maya, and Boba to make any expectant or new mom squeal and tons more. 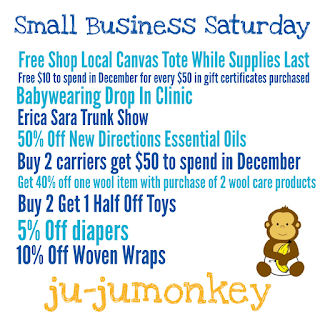 Use our Shop Small Hashtag #LVFGSLocal and mention Ju-Ju Monkey to enter to win a Bummis Simply lite diaper cover or a Free Drop in session of their new freeplay class! A brand new freeplay class for children 5 and under to enjoy socialization and creative play in a safe enclosed indoor setting! Visit the link here for more information on the class and scheduled dates/times! Unlimited monthly memberships are available for only $40 - Sounds like a great gift! The School of Rock is the area's most unique music school - focusing on performance based instruction. They educate not only in the fundamentals of music but the fundamentals of live performance! If you have an aspiring rocker in your household the classes at School of Rock would be a pretty fantastic gift. 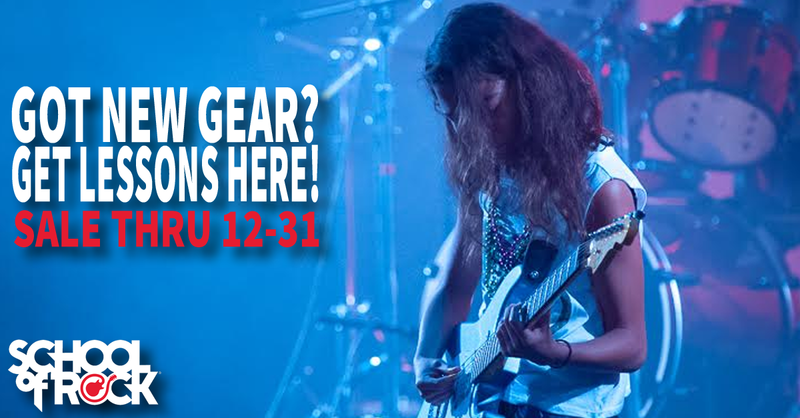 Buy a Gift Certificate that can be used for 3 months of 30 minute weekly lessons (consecutive) at the Easton School of Rock for guitar, bass, drums, keys or vocals. 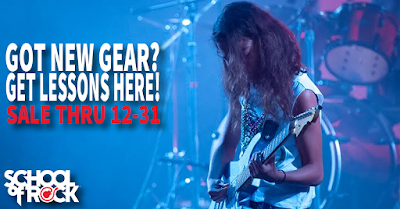 This also includes the weekly Rock 101 rehearsal during the same 3 month period, which runs on Saturdays from 11:30 to 1:00, (a $75 a month value) at no additional charge! Lessons are generally available Wednesday through Saturday at the Easton location. Click here for more details or to purchase! 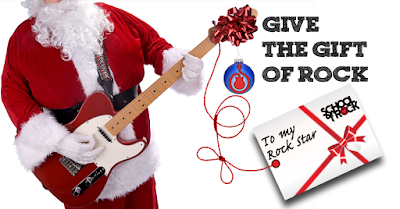 Buy a Gift Certificate that can be used for 3 months of 30 minute weekly lessons (consecutive) at the Allentown School of Rock for guitar, bass, drums, keys or vocals. This also includes the weekly Rock 101 rehearsal during the same 3 month period, which runs on Mondays from 6:15p to 7:45p, (a $75 a month value) at no additional charge. Lessons are generally available Monday and Tuesday at the Allentown location.